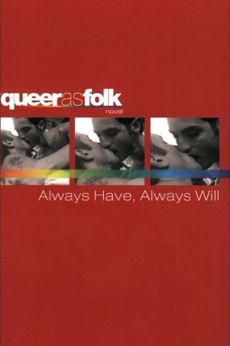 This popular new line of books follows your favorite Queer as Folk characters on a riveting journey of sexual self-discovery with stories about the beloved characters from the record-breaking Showtime series. USA Today raves, “There’s never been anything else like it on TV” — and there’s never been a book series like this. Life after college brings a lot more freedom — and a lot of new problems. Brian must trade his status as BMOC for the bottom rung of the corporate ladder, while Michael, who has long given up on college, now wonders if he’s also given up on his dreams. Emmett visits Pittsburgh to celebrate the spectacular launch of his fashion marketing company in Los Angeles (or so everyone thinks), while Deb adds gay rights advocacy to her juggling act of working at the diner and taking care of her ailing brother, Vic. Like Lindsay — who experiences life as a struggling artist and true love for the first time — Deb’s about to get more than she bargained for. Add in a secret romance, sexually charged office politics, an over-the-top drag ball, and the arrival of new friends and lovers, and our little gang is tested enough to qualify for postgraduate credit. More than ever before, Michael and Brian find their friendship challenged. As their choices tear them apart, Brian sees that it’s Michael he’s always loved, and that he always will. But will he tell him before it’s too late?